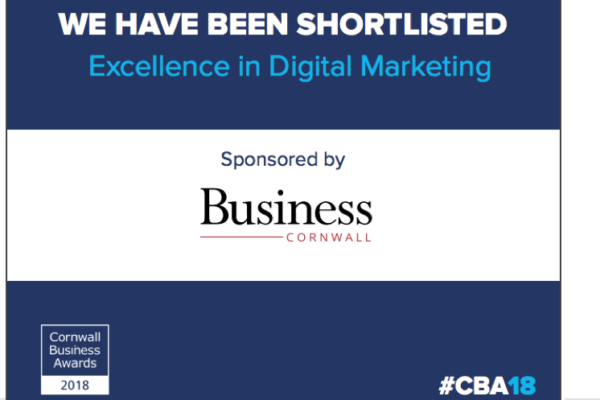 The Cornwall Business Awards (now in its thirteenth year) are a celebration of innovation, achievement and entrepreneurial spirit within the Cornish business community, and are organised by the Cornwall and Isles of Scilly Growth and Skills Hub. This year’s awards ceremony is hosted by Daphne Skinnard (Assistant editor at BBC Radio Cornwall), as well as celebrity speaker Gregg Wallace (co- presenter of MasterChef). Cornish entrepreneurs, Lucy and Lerryn, founders of Halto, first approached Eight Wire in June of 2017 in order to plan and deliver a marketing campaign that would support their appearance on BBC’s Dragons’ Den that aired during February 2018. Just in case you aren’t already familiar with Halto, the Halto is a cushion that can be worn in conjunction with any swimwear with a halterneck strap, preventing the strap from cutting into the back of the wearers neck. This means that the wearer can focus on enjoying themselves and not worrying about neck ache, bruising and red lines that can be left by a halterneck strap. The campaign has involved using all areas of digital marketing, including website, social media, newsletters and PPC advertising. Video was a huge part of the campaign as it was the perfect way to capture Halto’s cheeky personality, the videos then being shared on Halto’s social media platforms. The campaign also involved radio appearances on BBC Radio Cornwall, BBC Radio Devon, Spotlight and Pirate FM, as well as appearing on the front page (and on page three!) of the West Briton! We have had an absolute blast collaborating with Halto, and look forward to the future of our relationship. The awards ceremony will take place on Thursday the 19th of April at St Mellion International Resort. We can’t wait!